Combine the maneuverability and size of a mop with the strength and performance of a professional scrubber. 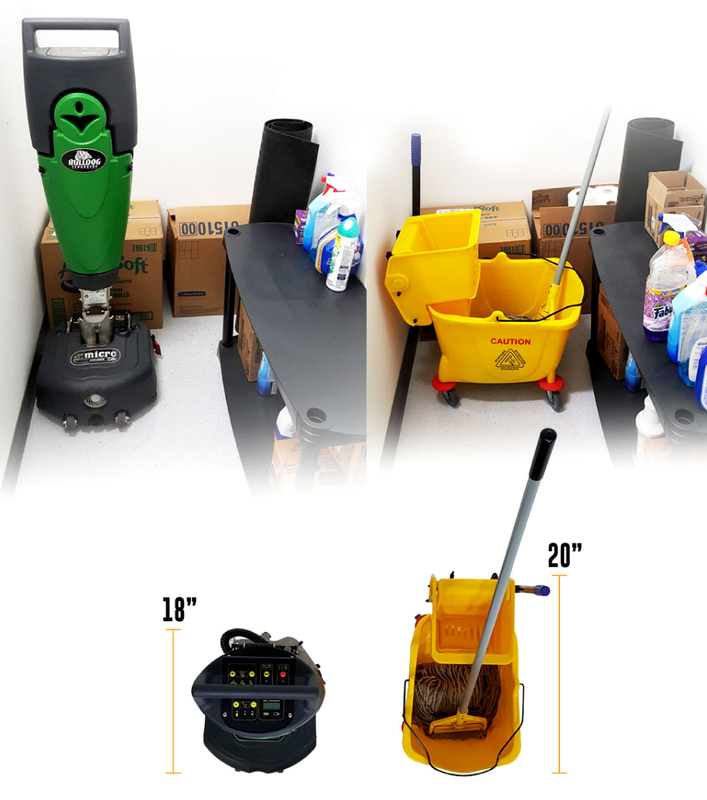 Unlike a mop that redistributes dirty water, this machine mimics a conventional walk-behind commercial floor scrubber to ensure your cleaning process never adds back dirt and germs. And its 360-degree movement creates a smooth gliding experience where you won’t need to push, simply steer. This brush-driven, cordless machine will go wherever you steer, so you can clean conveniently beneath tables, between chairs, underneath equipment, and in hard to reach areas. With two counter-rotating brushes, three fluid settings, and three brush speeds, you have everything you need to clean your floors the best way possible. A simple machine for your busy business. Compact parts make this floor scrubber lightweight, easy to clean, and simple to use. When you’re cleaning your space, transport with ease. This machine can follow you wherever you go. Easily remove the water chamber and transport to a sink. Take out and return the easily accessible battery between charges. From its Rotomold build and heavy-duty squeegee, to its long clog-prevented hose and stainless steel touches, this machine is durable for your everyday cleaning needs. With a lithium-ion battery, one charge will last over one hour of runtime with water replenishment about every half hour. Your cordless floor scrubber will charge quicker, last longer, and save you precious time on the job. Our machine is engineered to achieve a clean floor no matter your cleaning goals or application. From gyms to restaurants to bathrooms, this floor scrubber can clean a multitude of surfaces. Customize your machine even more with interchangeable brushes and various pad drivers to match your specific cleaning needs.